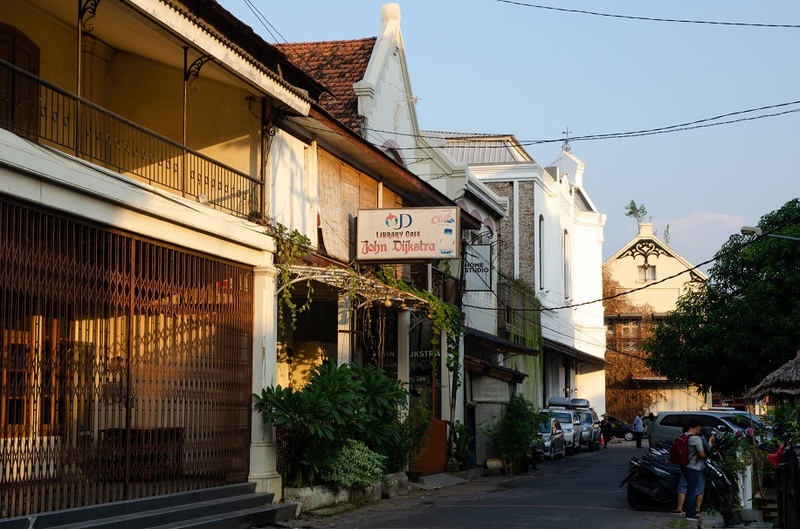 In a previous post, penned a number of months after my first visit to Semarang three years ago, I described the old town district of Kota Lama as “one of the best-preserved historic centers of any major city in Indonesia”. Up until the mid-2000s it had suffered decades of neglect, compounded by poor drainage and a flood-prone location. 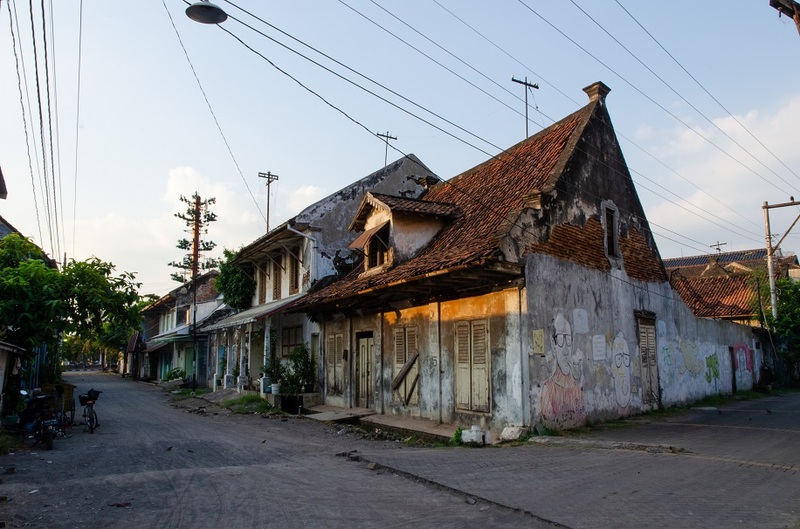 Since then there’s been a recent push to restore the old town’s vitality with the ambition of becoming a UNESCO World Heritage Site in 2020, though much still needs to be done before it can earn that coveted title. 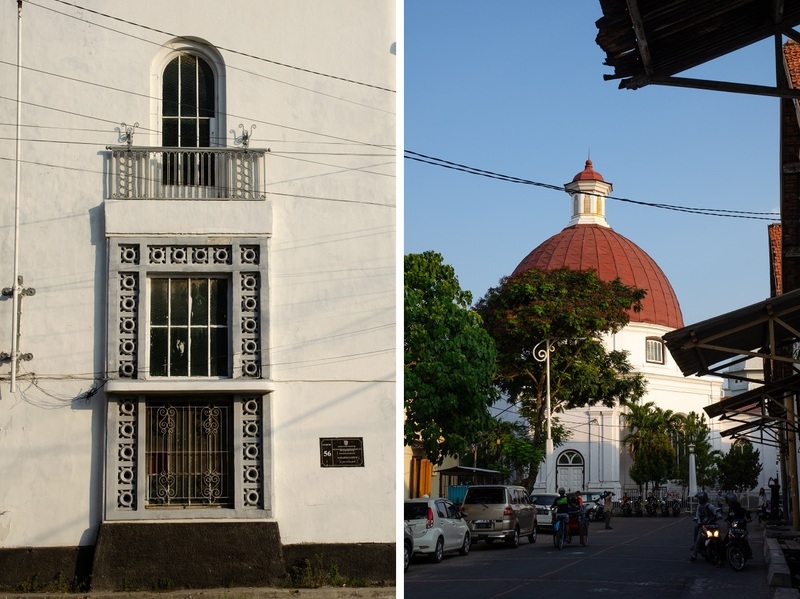 Those of you who have been reading this blog for some time likely know that a weeklong break in Semarang with Bama’s family at the end of Ramadan has become quite the annual tradition. As usual, we gained a few kilos gorging ourselves on the extraordinary home cooking of his mother Auntie Dhani, but this time, Bama and I were curious to see what had changed since we’d last set foot in Kota Lama. 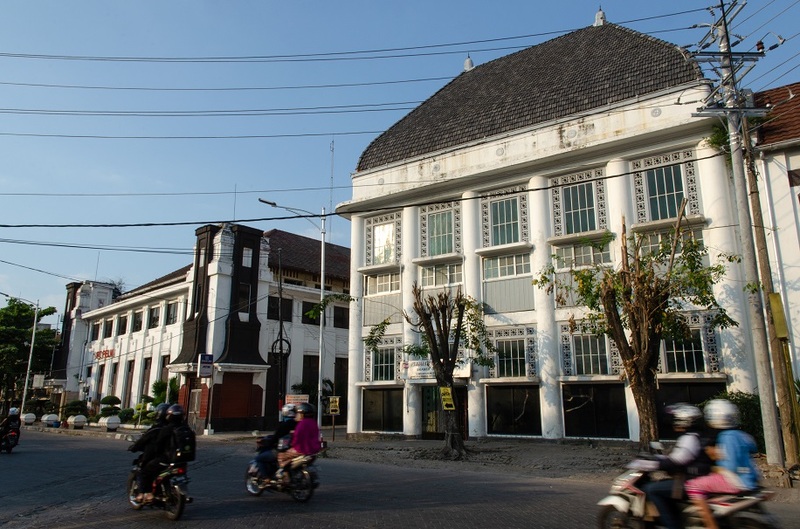 What we found was a fascinating work in progress: the former office of a telecommunications company had been repurposed as a creative gallery showcasing local products and handicrafts, and the roads were being ripped up and replaced with wider sidewalks. I had read about the recent opening of a 3D trick art “museum” in Kota Lama, but was wholly unprepared for the fact that there were two such attractions just across the street from each other: one inside a pair of adjoining heritage structures in muted gray and white, the other a much larger Korean import, taking up an old warehouse whose walls had been gaudily repainted as though it were a Rubik’s Cube, with the addition of two murals depicting Ancient Egyptian sculptures and hieroglyphics. Just as jarring was the absence of several buildings next door, bulldozed to make way for a parking lot. The condemned structures weren’t by any means a remarkable sight to behold, but when it comes to preserving a historic quarter, it surely makes sense not to introduce more cars and create holes in the existing streetscape. Of course, the penchant for tackiness isn’t limited to Indonesians and Koreans, but it represents a wider affliction of the global tourism industry as a whole. We live in a time when taking selfies in front of random doorways is practically de rigueur while on holiday; the rise of social media has perhaps dulled our collective appetite for authenticity and the educational aspect of travel. This is not to say that it was all doom and gloom in Kota Lama. 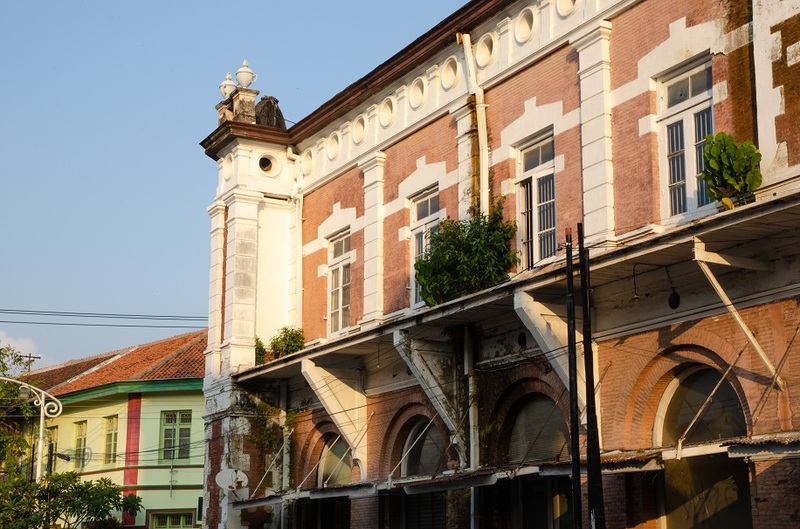 Much of the area’s Dutch colonial buildings were clearly in better shape compared to three years ago, especially the riverside ensemble of commercial offices marking the western edge of the old town. 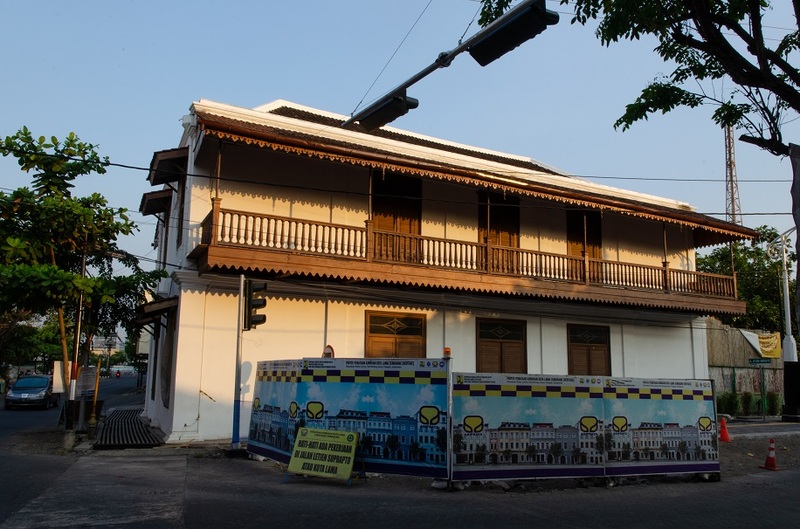 What we saw was an assurance that the ongoing restoration would be careful and not overzealous. 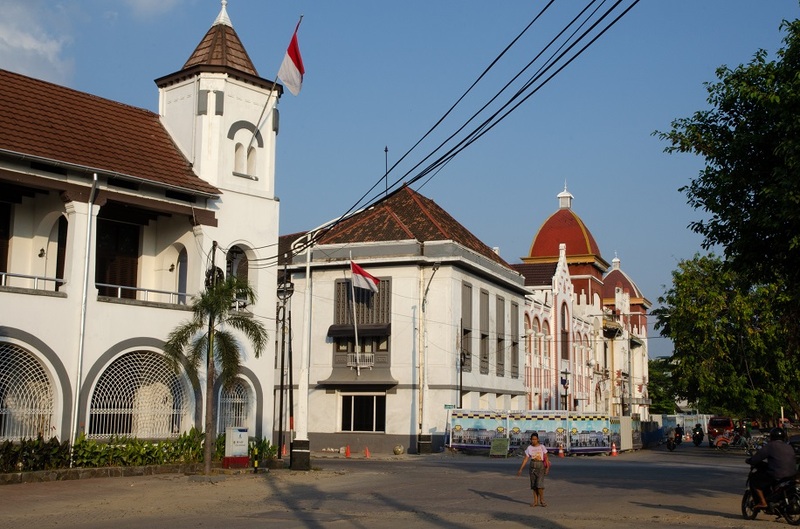 Bama and I also noticed a proliferation of small-scale cafés, complementing the trio of sensitive heritage conversions that had brought new life to Kota Lama well before the arrival of the trick art museums. 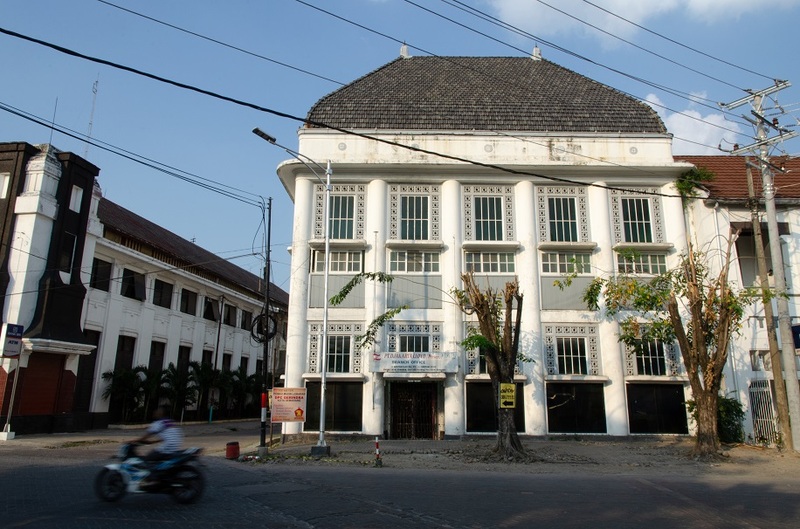 The restored former courthouse for native Indonesians now hosts a local branch of Ikan Bakar Cianjur, a restaurant chain specializing in Sundanese-style (West Javan) grilled fish. 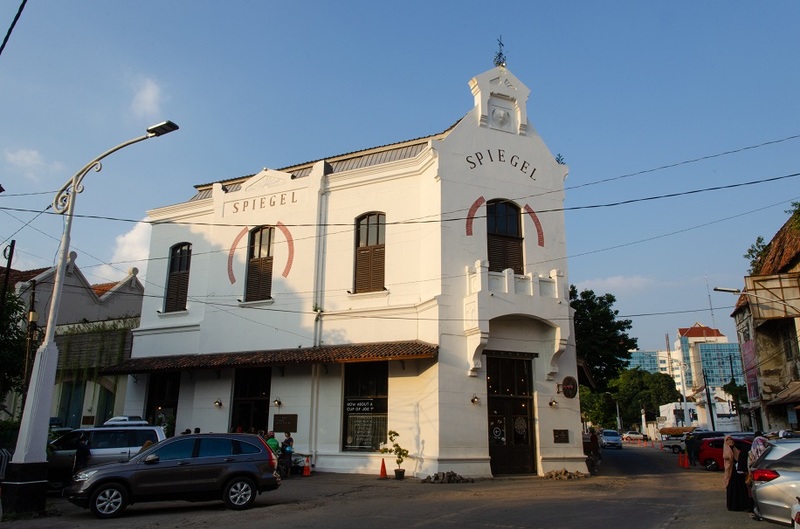 Then there’s Spiegel, an atmospheric bar and bistro that has retained its exposed brickwork, high ceilings, and original wrought iron pillars from 1895, when it was first built as a German-owned general store. 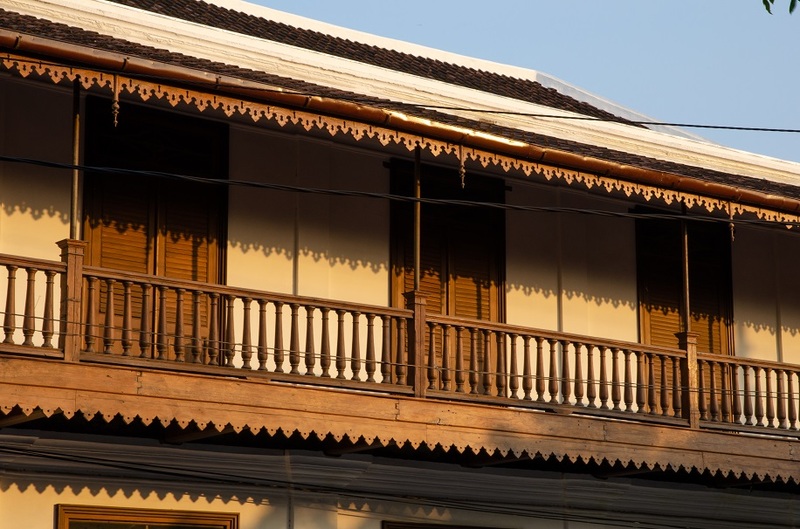 Just down the street, Tekodeko is an intimate but airy coffee shop with a colonnaded veranda on the upper floor. 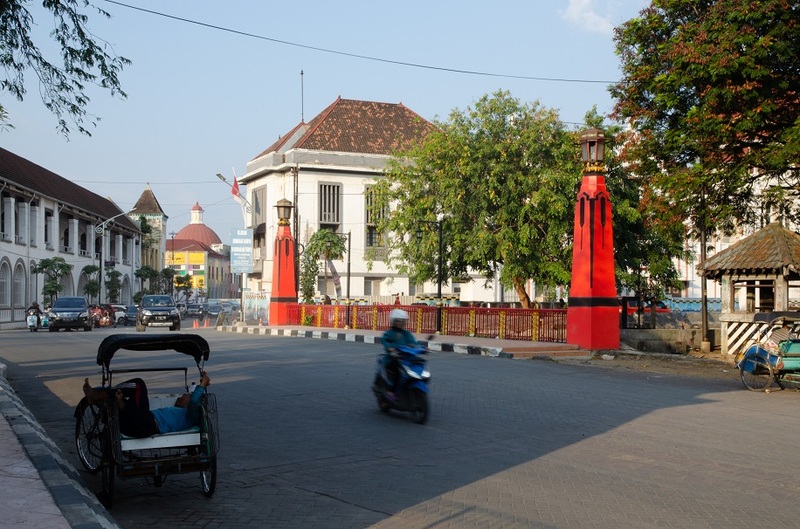 Can see Kota Lama’s charm and noticed the lack of traffic/people compared to other parts of Indonesia. 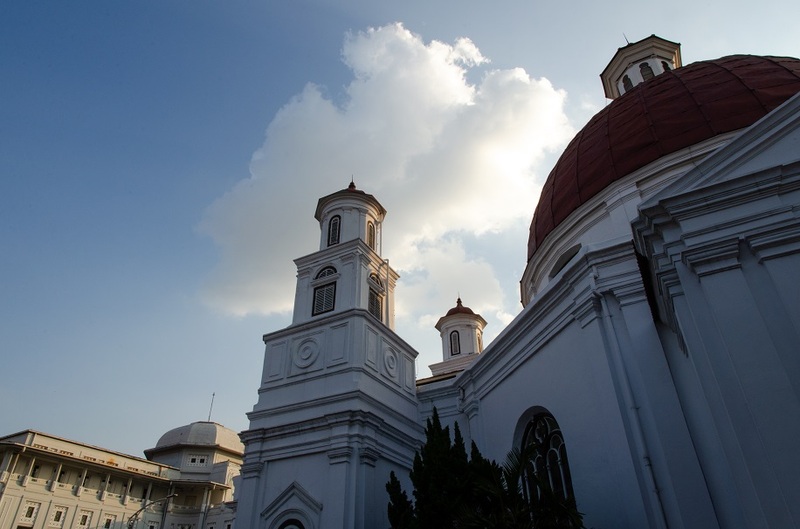 I guess Kota Lama rarely sees the weekend crowds you’ll find in Jakarta’s old town, but because we went during the biggest holiday of the year, the main street was very busy – we saw lots of family cars parked along both sides and the small park beside the church had been inundated with sightseers/selfie-takers. Beyond that stretch it was still very peaceful. Interesting to witness the change in places like this. I guess the city believes that attractions like a 3D trick art museum will appeal to large (and probably growing) tourist segments. Sadly, I’ve seen this happening in other beautiful places. 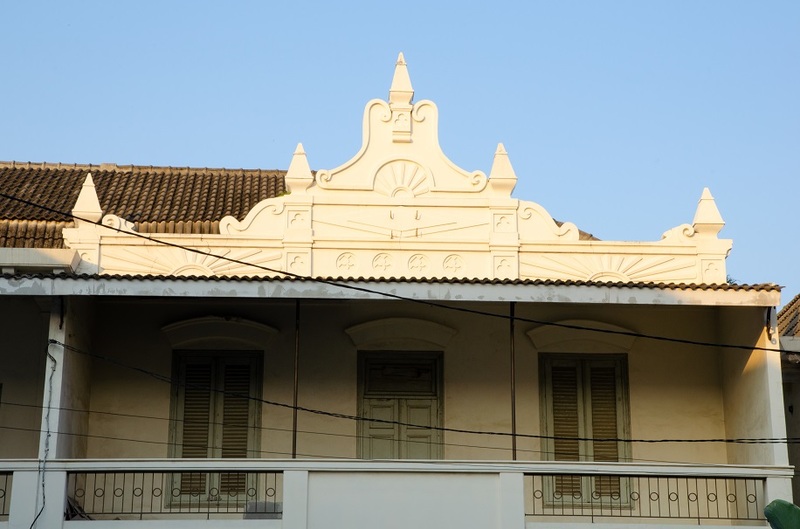 One can only hope that thoughtful and tasteful renovation and restoration will outnumber the tacky elements. The historic centre with its lovely buildings looks so atmospheric, and I can totally see your vision for bookstores, guesthouses and cafes in the forgotten part of town. 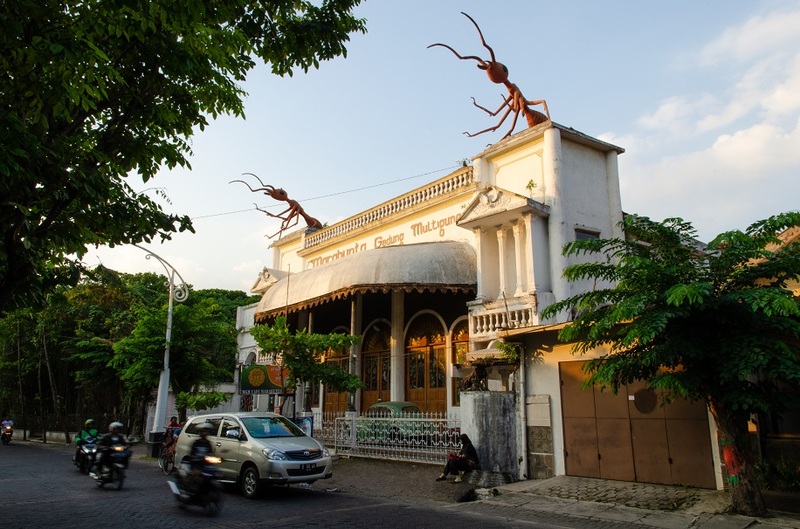 Any idea on the significance of the giant ant sculptures? My penchant for the whimsical (not tacky… a fine line, I know) has got me curious. 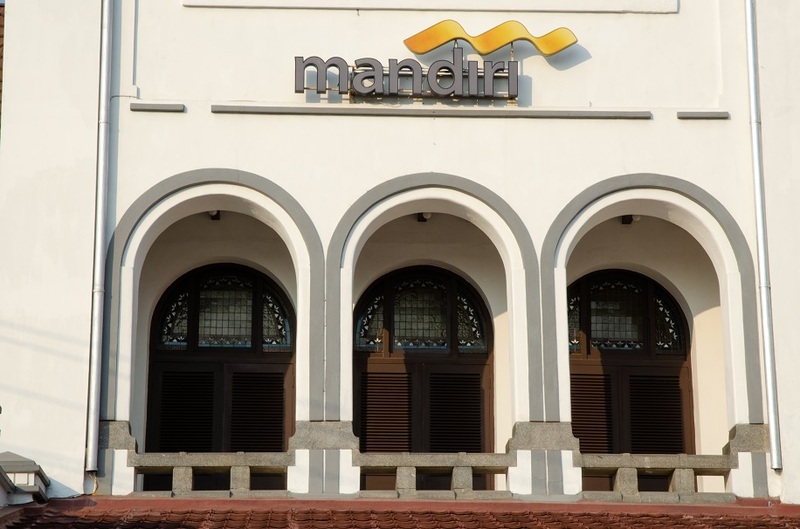 I did some googling and “marabunta” is another name for army ants, so whoever designed the building clearly went all-out, with ant motifs on the wrought iron gates as well! However I have not found any explanation on how the idea first came about… no doubt that would make for a fascinating backstory. Fun! And it shall remain a fascinating mystery. Beautiful. I hope the rest of the restoration will take the same deliberate but creative approach and doesn’t rush into it. It really would be a shame if tackiness were to win over the beauty of the original architecture. Thank you for commenting. 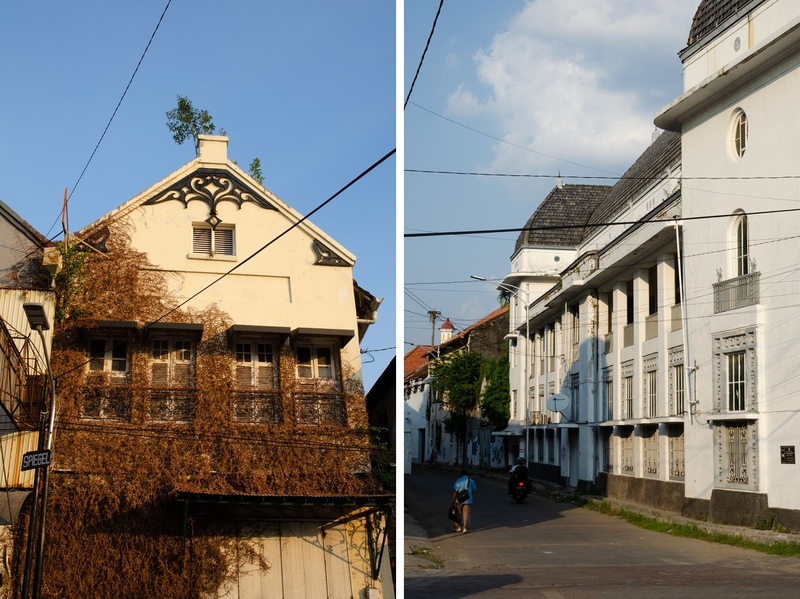 I too hope that Kota Lama doesn’t turn into a caricature of its former self – the municipal authorities would do well to see how a balance is struck in Europe’s UNESCO-listed historic town centers. 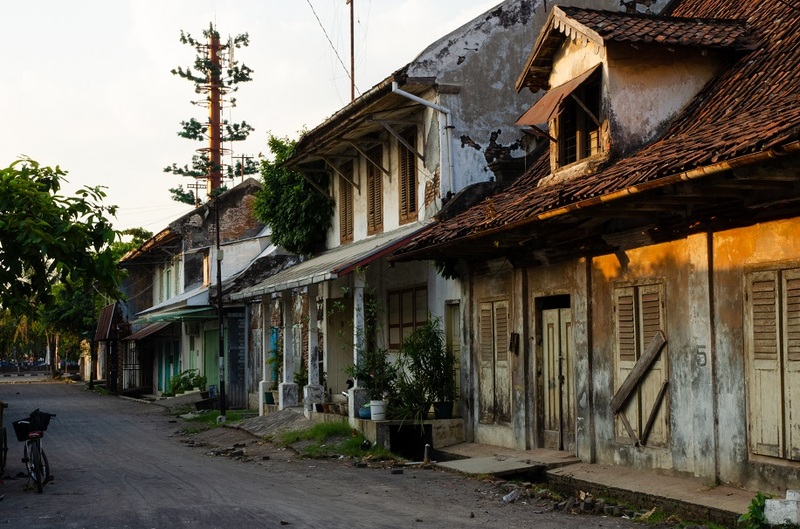 It’s great to see these wonderful old buildings and neighborhoods restored to their former beauty. I daresay that the architecture of today, seemingly in most parts of the world, is severely lacking in charm. Oaxaca, Mexico, the city where we spend half of our life, is a UNESCO World Heritage city. Several years ago McDonald’s wanted to put one of their fast food places in Oaxaca’s zócalo (main plaza) and the Oaxaqueños gave a resounding “NO!” I’m so glad they were not swayed by promises that were undoubtedly made. Interesting post, and I love those ants! I couldn’t agree more, Marilyn. Everywhere I go, I can’t help feeling that the older buildings were built with much more care, and so many have gorgeous details that were lovingly handmade. I’ve been wanting to get to Mexico for the past couple of years and I’d love to put Oaxaca on the itinerary. A McDonald’s on any historical zócalo – not least in a UNESCO-listed city – would be a travesty for sure! Good thing the Oaxaqueños turned it down. 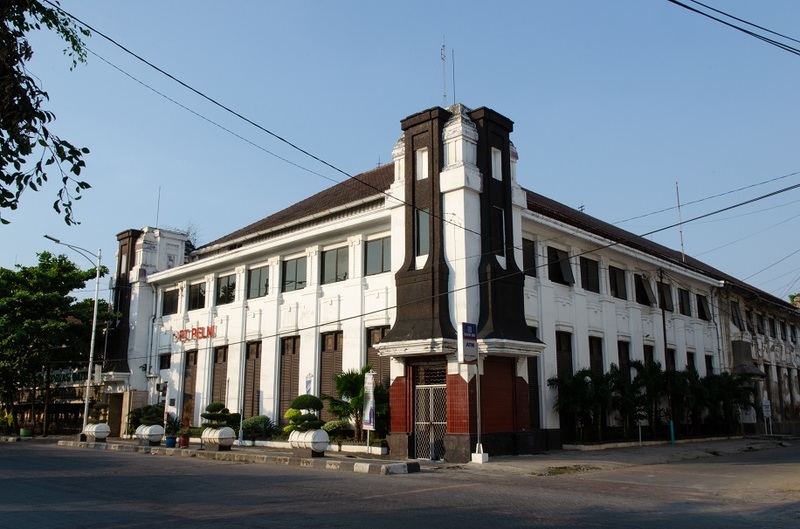 When I said that they should have a museum in Kota Lama focusing on the history of this old part of Semarang, I had the museums in Malacca and Penang, as well as those in Jakarta’s Kota Tua in mind. 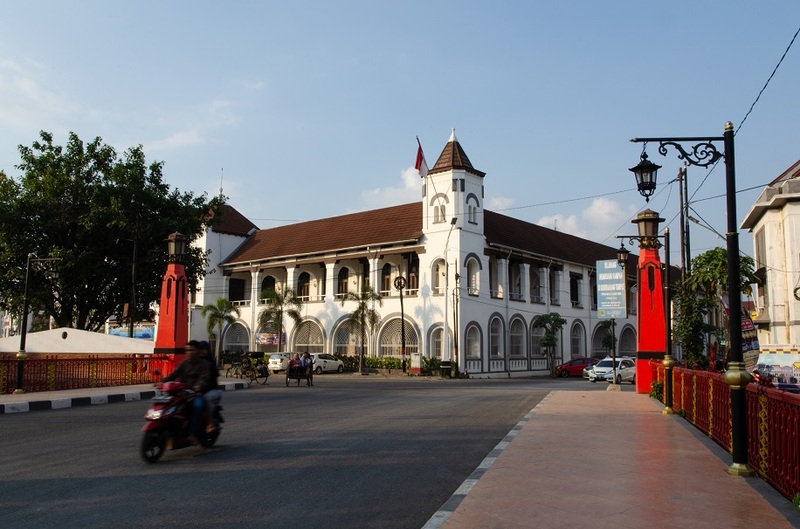 Wouldn’t it be nice to learn a little bit of history of the place you’re visiting, and get a cold drink or have lunch at a cafe or restaurant occupying a carefully-restored building nearby, then sit on a park bench in the afternoon surrounded by architectural beauties from the past? But then of course, Instagram really changed the game. 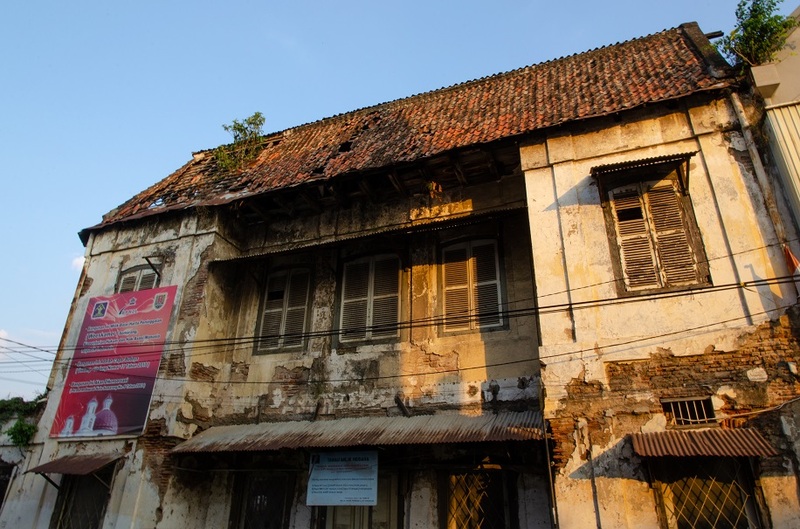 I really hope the local government can tread that fine line between making money and preserving history so tourism can become a sustainable industry that brings life back to Kota Lama for many generations to come. Bama, your vision of Kota Lama is exactly what I had in mind as well. If only you were the main decision-maker involved in the old town’s restoration! And yes, Instagram has really ruined the way we experience travel… it’s made people more narcissistic and less focused on learning about the places they visit. James this is an issue I often struggle with as we promote travel. Are we helping to create a tourist jammed ‘show’ rather than finding sustainable and respectful ways of visiting locations on this wonderful planet. That’s a really good point, Sue. I also face this dilemma especially when it comes to places that are off the beaten path and not yet opened up to mass tourism – part of me wants to keep those locations hidden, but then again people there have every right to find alternative livelihoods through (sustainable) tourism as they wish. I do find solace in the fact that our audiences are generally made up of those who are more respectful and seek out real, immersive experiences while on the road. Of course Bama wanted another history museum! 🙂 But seriously, you make good points about development and restoration, and the corresponding tension between authenticity and charm and the less-laudable acquiescence to more banal tourist desires. Being a city planner has gotten a lot more complicated! I like much of the diverse architecture here, but as an insectophobe, I have to say I’m not a huge fan of the ants rearing up on the roof! Part of me would love to work as a city planner but I don’t think I’d have the patience to deal with all the bureaucracy and red tape plus the competing interests! Hopefully the men and women in charge of the old town have enough foresight to not let it become just an artificial backdrop for people’s Instagram shots. On another note, that first line of yours sure gave me a chuckle! 😀 And you have to wonder what people thought when the Marabunta Building took shape – no doubt it was commissioned by an eccentric figure!